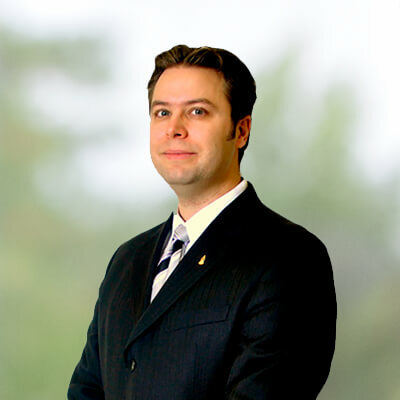 Dr. Regan Schmidt joined the University of Saskatchewan in 2009. He completed his Ph.D. in accounting from Queen’s University after practicing public accounting in western Canada. Regan’s research has been recognized by the American Accounting Association (Auditing Section) for its contribution to auditing knowledge and the Canadian Public Accountability Board (CPAB) for its potential to improve audit quality. His research has received external funding for its relevance to the accounting profession (Chartered Professional Accountants of Canada / Canadian Academic Accounting Association). Regan’s research is primarily focused on auditor and client management judgment and decision making using experimental methods and has been published in journals such as Behavioral Research in Accounting, Managerial Auditing Journal, Accounting Perspectives, Journal of Business Ethics and Issues in Accounting Education. Regan currently serves as an Associate Editor for Issues in Accounting Education and serves on Editorial Boards for Behavioral Research in Accounting, Accounting Education, and Accounting Perspectives. MacTavish, C., S. McCracken, and R.N. Schmidt. 2018. External auditors' judgment and decision making: An audit process task analysis. Accounting Perspectives 17 (3): 387-426. Mescall, D., F. Phillips, and R.N. Schmidt. 2017. Does the accounting profession discipline its members differently after public scrutiny? Journal of Business Ethics, 142 (2): 285-309. Phillips, F., and R.N. Schmidt. 2016. Accounting students’ planning, writing, and performance on a time-constrained case analysis: Effects of self-talk and prior achievement. Accounting Perspectives, 15 (4): 311-329. Schmidt, R.N. 2015. Discussant comment on an examination of the effect of CEO social ties and CEO reputation on nonprofessional investors’ say-on-pay judgments, by Steve Kaplan, Janet Samuels, Jeffrey Cohen. Journal of Business Ethics 126 (1): 119-123. Schmidt, R.N. 2014. The effects of auditors’ accessibility to “tone at the top” knowledge on audit judgments. Behavioral Research in Accounting 26 (2): 73-96. Schmidt, R.N., and B.E. Cross. 2014. The effects of auditor rotation on client management’s negotiation strategies. Managerial Auditing Journal 29 (2): 110-130. Salterio, S.E., J.E.D. Conrod, and R.N. Schmidt. 2013. Canadian evidence of adherence to “comply or explain” corporate governance codes: An international comparison. Accounting Perspectives 12 (1): 23-51. Schmidt, R.N., and F. Phillips. 2012. Shooting for assurance: The case of blazing arrow speed. Issues in Accounting Education, 27 (4): 1243-1258. Study accompanied by a 7 page teaching note published in Issues in Accounting Education Teaching Notes. McCracken, S., S.E. Salterio, and R.N. Schmidt. 2011. Do managers intend to use the same negotiation strategies as partners? Behavioral Research in Accounting, 23 (1): 131-160. Phillips, F., and R.N. Schmidt. 2010. Creating early success in financial accounting: Improving performance on adjusting journal entries. Accounting Perspectives, 9 (2): 87-96. Directed readings and individual research in the area of accounting. The major course requirement involves the preparation of an honours research paper under the supervision of one or more faculty in the particular area of specialization. The resulting honours paper is normally presented at a department seminar. Considers the demand for independent external audits, including environmental determinants (social, legal and professional) and individual auditor behaviour. The satisfaction of the demand for an audit is examined within a risk reduction expression of an auditor's opinion formulation process.